Chief Secretary Kelvin Charles said the Tobago House of Assembly (THA) is looking into how some $8 million, intended for international airline Virgin Atlantic for flights arrangements for the UK/Tobago route, was wired into an unknown account. The issue was raised on Tuesday by THA Minority Council member Farley Augustine who called on Charles and Tourism Secretary Nadine Stewart-Phillips to make a public statement on the matter. “About a week ago, the Tourism Division received a call from Virgin Atlantic saying that they have not received the $8 million. When checks were made, the account in which the money was placed, that account was wrong and the $8 million was already withdrawn and the account was closed,” he said. Members of the Fraud Squad have already started investigating the matter. At yesterday’s post executive council media briefing at Calder Hall, Charles said he will ensure an audit is done. “We shall take all steps to ensure recovery of the funds,” he said. 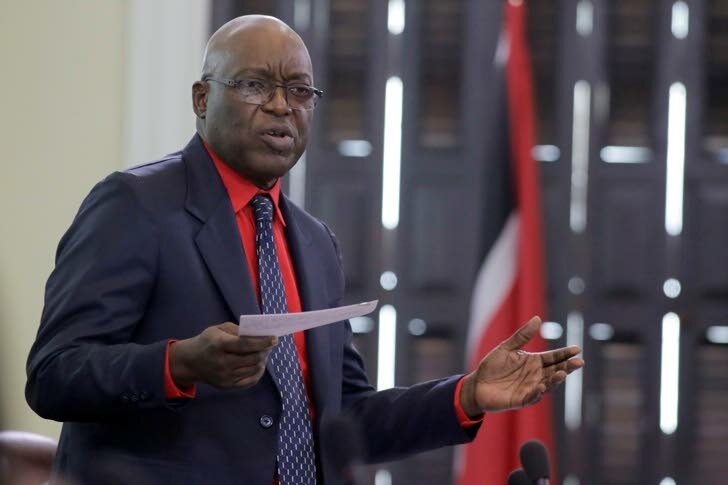 Charles said when he in possession of the additional information requested, he will ensure a comprehensive audit is done at the division “in an attempt to ascertain whether there is any other issue of a similar nature that needs to be investigated. That audit will provide a basis for a determination as to whether or not any action is required against any public officer.” The final report was expected to be completed yesterday. Reply to "THA promises audit on missing $8 million"